ALE has successfully transported and lifted a de-ethaniser tower, weighing 80t, as part of the Axion Energy Refinery Expansion Project in Campana, Argentina. The tower, measuring 43m long, was transported 2.7km from its storage area to the installation area, inside Axion Energy Refinery, using 12 axle lines of conventional trailers and two spacers. ALE then lifted the tower using a Liebherr LR 1400 crawler crane as the main lift crane and a Liebherr LTM 1250-6.1 All Terrain as the tailing crane to position the tower vertically and into its final position. 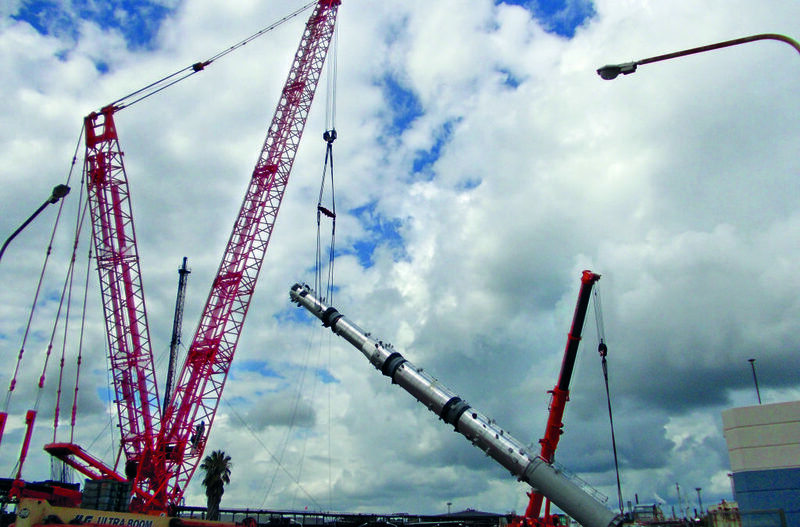 The expansion project involves the construction of a new gas plant at the Axion Energy Refinery, and the tower is just one of the nine pieces of equipment being transported and lifted there.